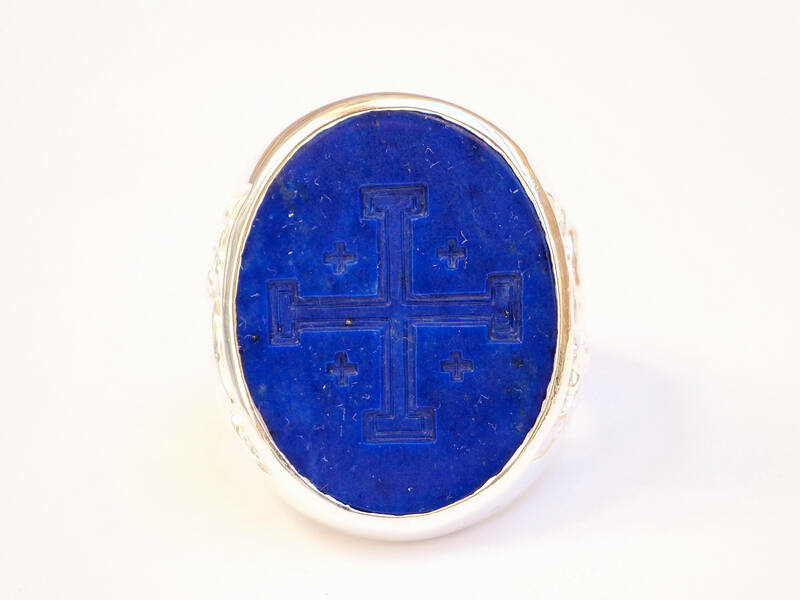 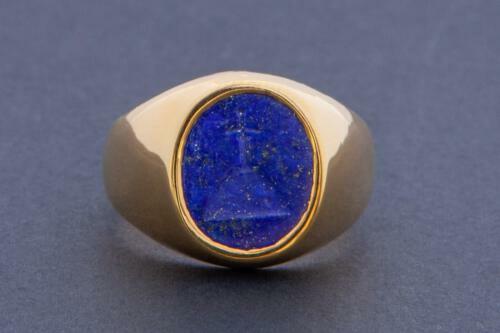 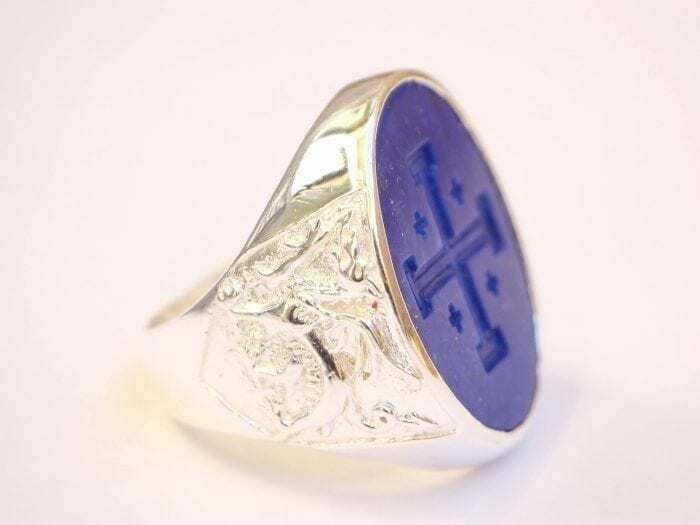 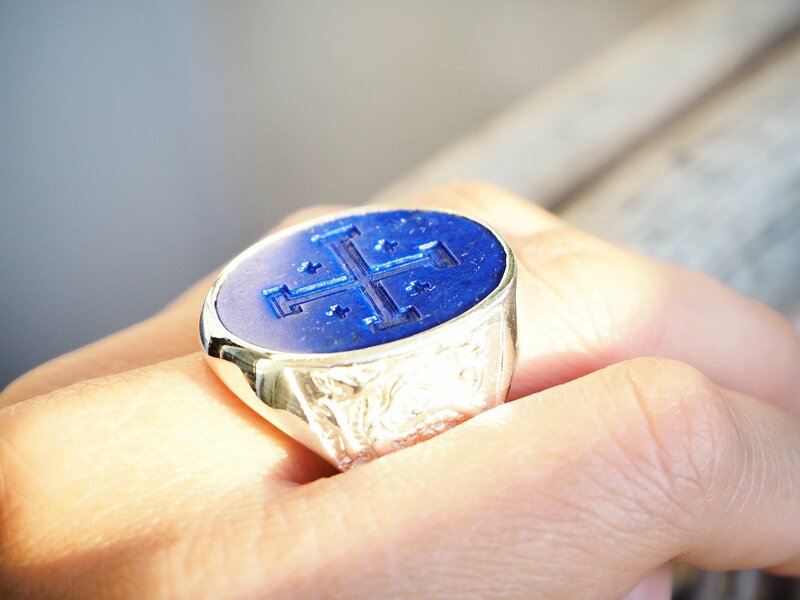 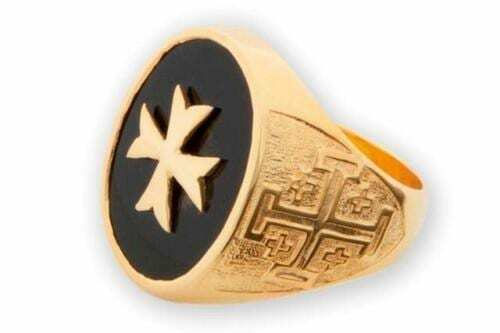 Lapis Jerusalem cross intaglio man’s signet ring sterling silver. 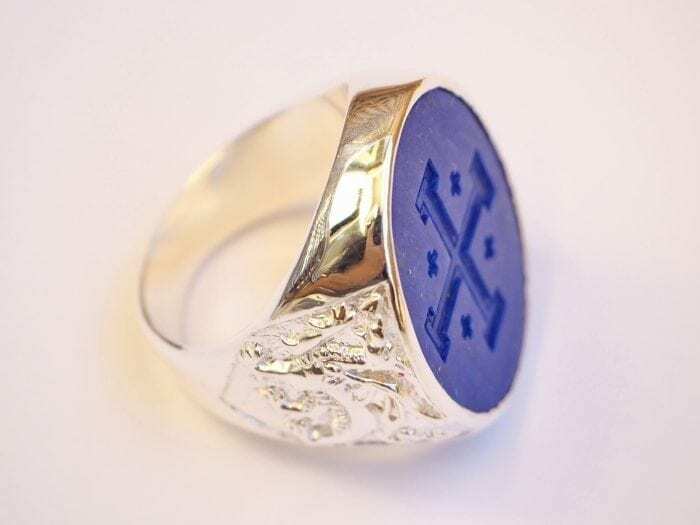 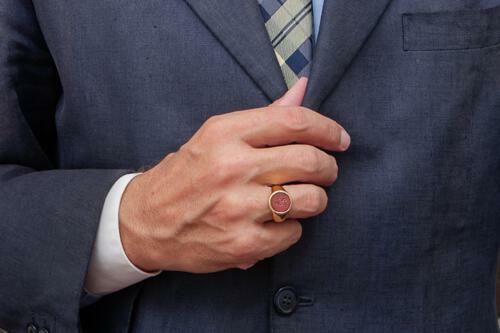 The Regnas ring carries an engraving of the Welsh dragon on both shoulders. 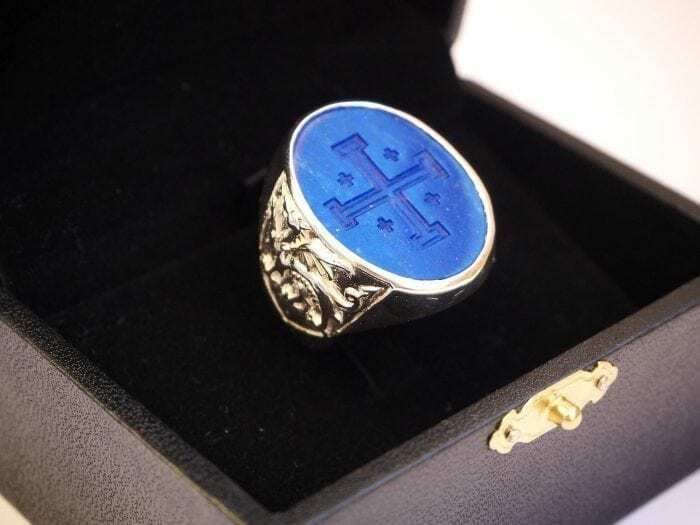 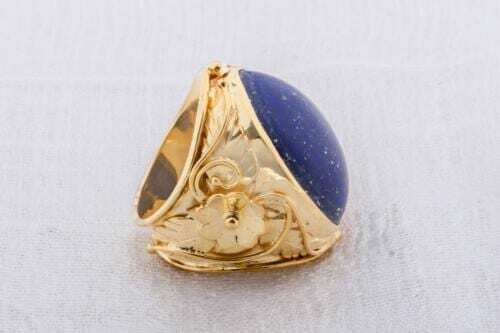 The lapis hand crafted oval measures 26 x 21 mm (1 x 13/16 inch) one of our Large sized heraldic rings.